2014 will not be entirely a wash because Robyn will be touring with the Norwegian pop duo Röyksopp, last heard on her jam "None Of Dem" from the album Body Talk Part 1. We haven't been this excited since she put out that music video for her collaboration with Snoop Dogg "U Should Know Better" years after the original track was released. 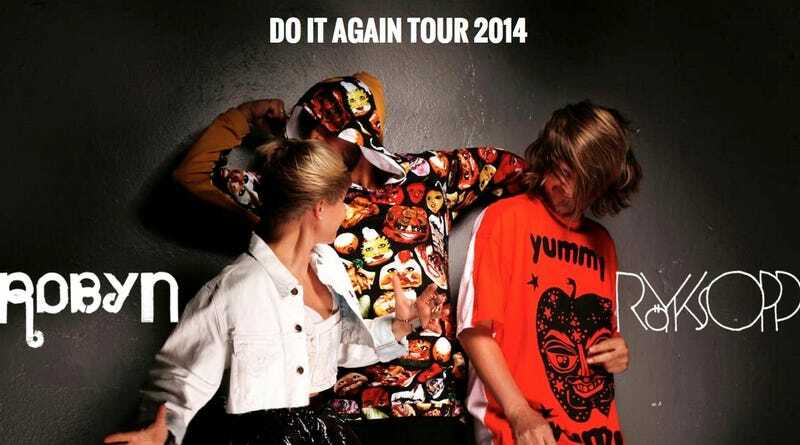 While dates and locations for the the Do It Again tour haven't been announced, they will apparently be later this week. Robyn also tweeted a photo of her in the studio with the band, writing "We are making music again," as if aware that she has been rudely denying the world her talents for far too long.